Visiting the Maldives may be your next holiday adventure! Located in the Indian Ocean, this island nation is probably one of the most remote places you will ever visit. But even with its remote location, the Maldives has gained a reputation of an island paradise destination to the international travel community. There is a steady flow of tourism coming into the country. Simple. The Maldives is simply a gorgeous place to pass up the chance to visit. Don’t go anywhere as we’re giving you 7 solid reasons why the Maldives should be your next exotic island holiday destination. Reason 7. The Maldives is still considered an off-the-beaten-path destination. If you really examine this island nation’s location, it really is in the middle of nowhere. 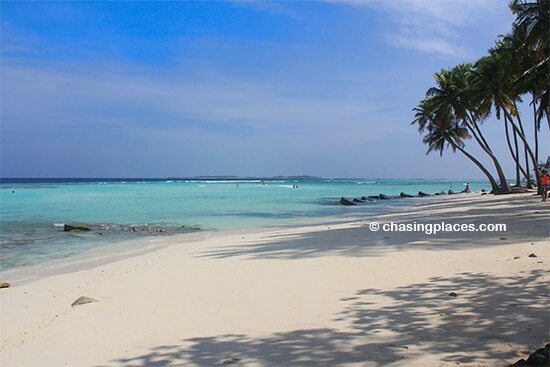 Surrounded by the great big Indian Ocean, not many people can make their way to the Maldives. On your Maldives visit, you will actually get the vibe of being in an exotic paradise. There are so many islands in this country that will give you the “far from the madding crowd” feel that many travellers long for. 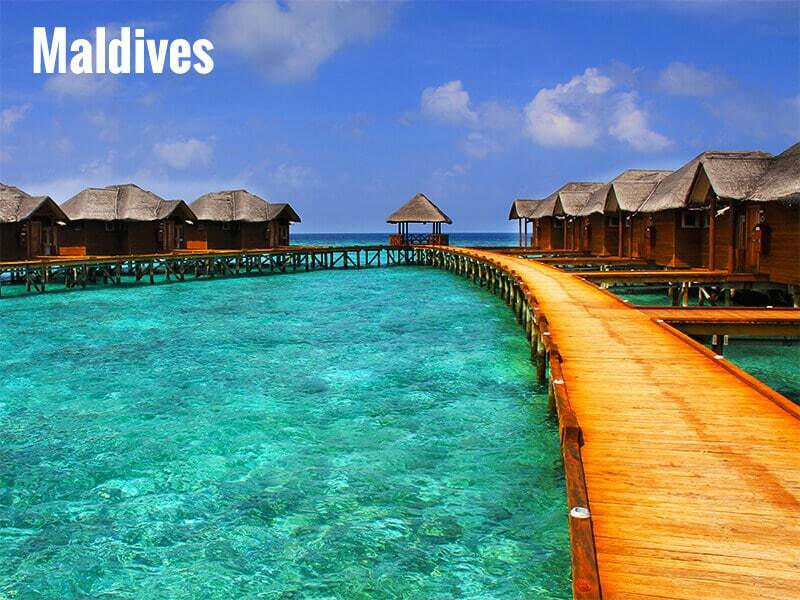 If you desire more than the normal accessible travel destination, Maldives should be on your travel list. Reason 6. The Maldives is home to some of the best beaches in the world. I know that many places in the world are saying the same thing but the Maldives really has a good claim on this. I have seen so many beaches in my lifetime. I live in Southeast Asia and visited the South Pacific so many times. These are places known for their beaches. However, if we are talking about consistency; the beaches throughout Maldives’ more than 1000 islands consistently have the best water color and the most powdery white sand I’ve ever seen. This unique quality can be attributed to Maldives’ low industrialization and remoteness. During the boat tour around a region of the Maldives, almost every island I saw along the way has its very powdery white beach. It’s just mind-blowing how long stretches of white sandy beaches seem to be the norm and not the exception! Reason 5. The Maldives has a nice range of relaxing island resorts. Over the years, the Maldives has earned a reputation as a luxury island getaway. Indeed, the country has a number of uber luxurious resorts that reside on their own private island. But what some people may not know is that not all resorts are equal. Some are quite expensive because they cater to the ultra rich. But there are also some that are targeted to families and mid-range tourists. Reason 4. The Maldives has an interesting culture and lifestyle. As a tourist destination, the Maldives is fascinating because of the contrasts that surround it. Its private resorts are very much liberal western-influenced. Visitors clad in their bikinis or skimpy swimsuits while drinking beer is a normal sight on private island resorts. But this is not the case on the inhabited islands and in the capital of Male. The Maldives, interestingly, is a staunch Muslim country. Alcohol is not sold in public places and locals are dressed conservatively. 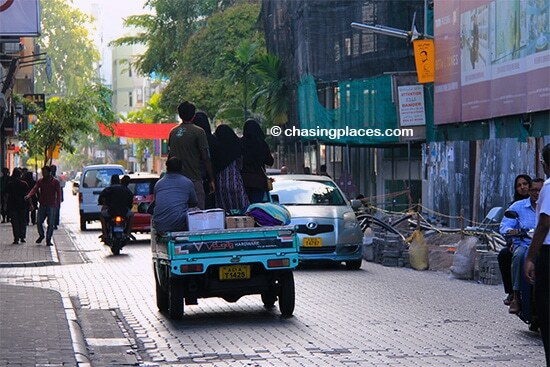 That said, the Maldivian people embrace tourism and foreigners. But when you step out of your resort, you will see that there’s a rich culture and a distinct lifestyle out there that is waiting to be explored. I really encourage you grab this opportunity, to see the other side of the Maldives. 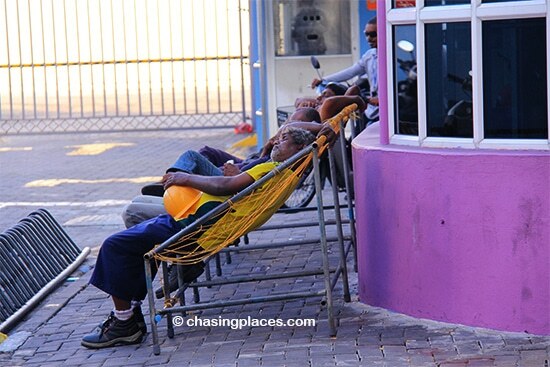 This is what makes it an interesting travel destination. Reason 3. The Maldives is now open to independent travellers on a budget. If you don’t want to stay on an island resort, the Maldives is also catering to independent travelers on a more strict budget. You can head out to a locally-inhabited island. This is the type of islands where locals live. The government in the past years allow these inhabited islands to build their own boutique hotels to accommodate tourists. During our visit to the Maldives, we stayed on one of the islands – Maafushi, which is very much accessible from the capital Male. It was a pleasant experience staying at the more economical Maafushi Inn. 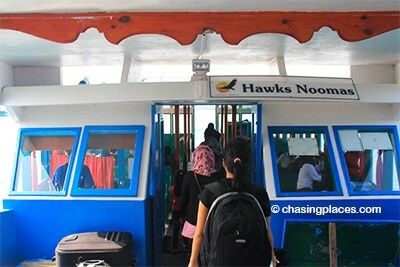 And this small island also has other small hotels and restaurants to cater to visitors. Reason 2. The Maldives is an amazing place to dive and snorkel. The Maldives is a fantastic place to dive and snorkel! 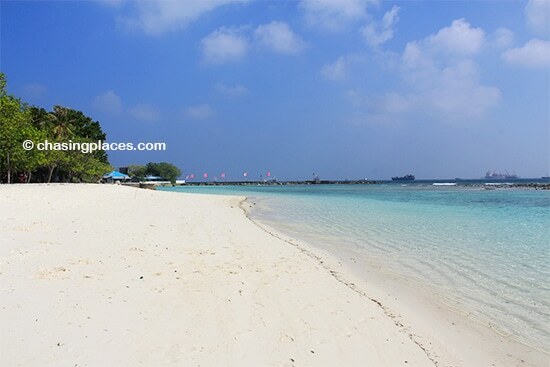 Snorkeling is particularly easy as there are many islands that have their own house reef. This means that you don’t have to go far for a satisfying snorkeling experience. Even Villingili island, which is very near the capital Male has a decent house reef. Because of global warming, experts say that the corals in the Maldives are not as colorful as they were before decades ago. But apparently, there are still fantastic diving spots with rich marine life that diving enthusiasts can go to. In fact, some tourists tend to book liveaboard packages where they stay on a boat and go to some of the best places in the country to dive. Reason 1. You don’t need a visa to enter the Maldives. This is one big reason to visit the Maldives in your lifetime! I mean the country is a huge paradise and everyone is welcome to visit without the need to go through a tedious visa application. As long as you have your return flight ticket and accommodation booked and you can show enough funds to sustain your stay; you are good to go and enjoy the Maldives. Now that’s what I call a sweet deal especially for Southeast Asian passport holders like myself. There you have it: the 7 reasons why the Maldives should be your next holiday destination. If you have any questions, write on the comments section down below.